A gas balloon is any balloon that stays aloft due to being filled with a gas less dense than air or lighter than air (such as helium or hydrogen). 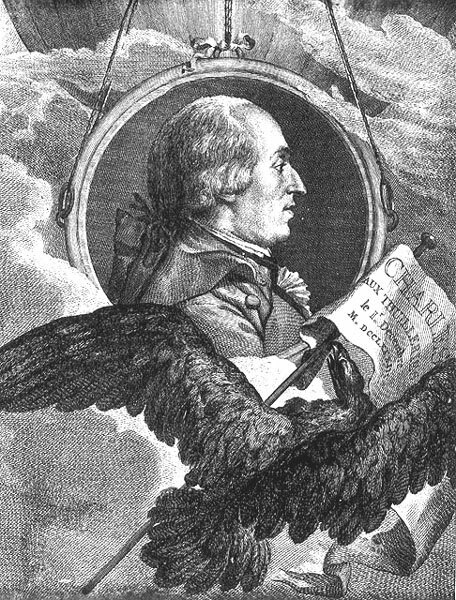 A gas balloon may also be called a Charlière for its inventor, the Frenchman Jacques Charles. 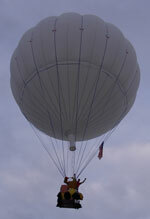 The first gas balloon made its flight in August 1783. Designed by professor Jacques Charles and Les Frères Robert, it carried no passengers or cargo. 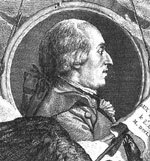 On 1 December 1783 their second hydrogen-filled balloon made a manned flight piloted by Jacques Charles and Nicolas-Louis Robert, 10 days after the first manned flight in a Montgolfier hot air balloon. The next project of Jacques Charles and ‘Les frères Robert’ was La Caroline, an elongated steerable craft that followed Jean Baptiste Meusnier’s proposals for a dirigible balloon, incorporating internal ballonnet (air cells), a rudder and a method of propulsion. On September 19, 1784 the brothers and M. Collin-Hullin flew for 6 hours 40 minutes, covering 186 km from Paris to Beuvry near Béthune. This was the first flight over 100 km. Gas balloons remained popular throughout the age before powered flight. They could fly higher and further than hot-air balloons, but were more dangerous as they were usually filled with hydrogen gas (which, unlike helium, could be easily mass-manufactured). Gas balloons were used in the American Civil War by Thaddeus Lowe. They were used in the Napoleonic Wars (to very limited extent), and throughout the 19th century by hobbyists and show performers such as the Blanchards. 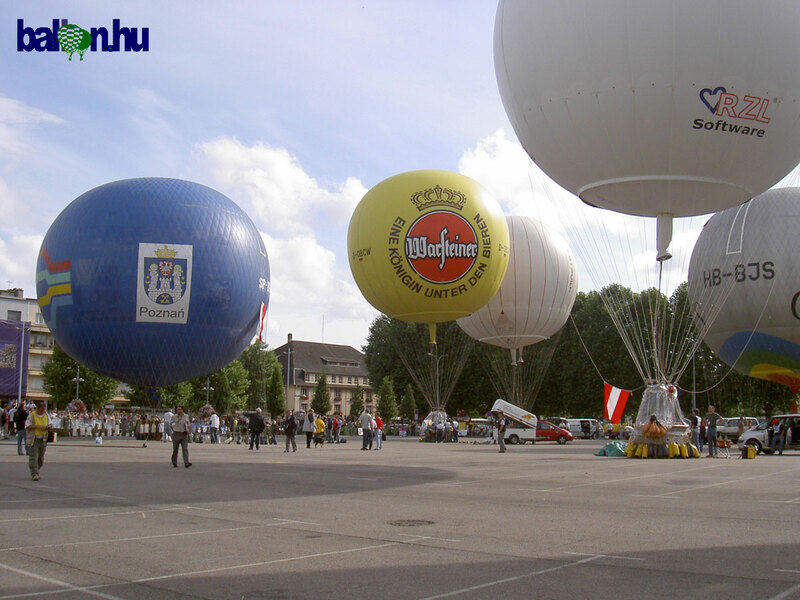 Gas ballooning has been popular in Europe, most notably in Germany, using hydrogen as a lifting gas. Several gas balloon clubs exist throughout the country with well organized launch sites and well defined infrastructure making flights relatively easy to do. Rough estimates show 150 active gas pilots in Europe. In stark contrast, gas ballooning in the USA might have at most, 30 active pilots who typically fly only once a year at the Albuquerque Balloon Fiesta in October. This is primary due to the extraordinarily high cost of helium (~$8,000 for a single flight as of 2008), the lifting gas that most American pilots must use due to the design of their balloons. This is starting to change with an introduction of hydrogen as a lifting gas, but still there are only a handful of hydrogen-rated balloons in the country. The German gas community has been a valuable resource in helping the US pilots gain skills in flying gas balloons and working with hydrogen as a lifting gas. Many of the US gas pilots have been, and are, currently doing training flights in Germany.